A lot has happened in the e-cigarette industry since I’ve written this post two years ago. It has been recently updated to include more modern products as well as include the concept of Advanced Personal Vaporizer or APV. If you’ve spent any time at all on this site, you may have noticed I tend to throw the word “mod” around a lot. If you haven’t been around e-cigarettes a lot, that may be a somewhat confusing term. I’d like to take this opportunity to sort of break down the concept of mods. Keep in mind there is a virtually limitless world of mods and APVs out there, so I don’t anticipate this will be the be all, end all of guides to e-cigarette mods or APVs. Looking for even more basic information? Check out What is an e-cigarette? You probably have worked out for yourself that the word mod is shorthand for modification. I know, because you’re reading this blog, so that by default makes you smarter than the average bear. The term was originally interchangeable with several different concepts. 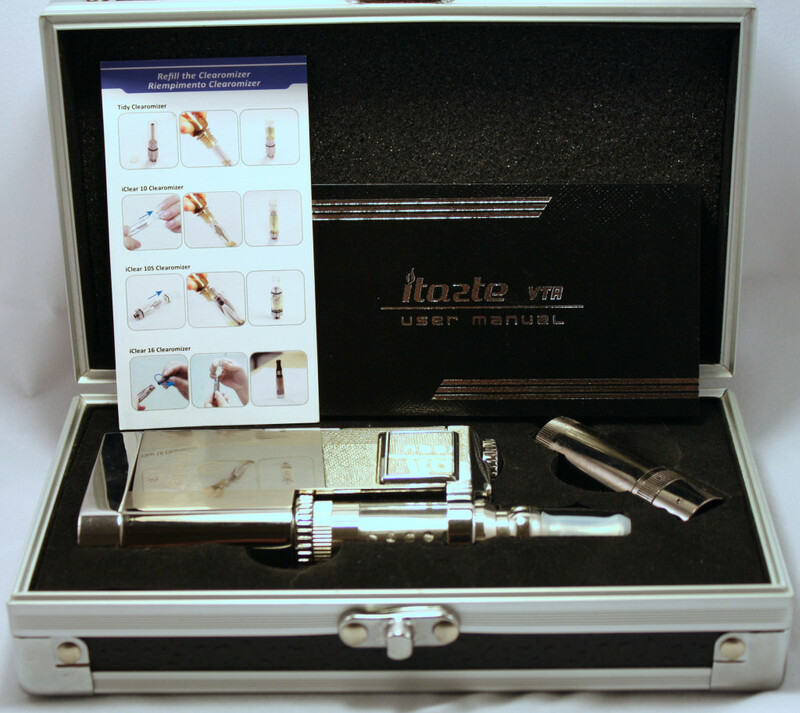 Mods can refer to both the actual e-cigarette, also known as a personal vaporizer, or PV. There can also be mods for other parts of e-cigarette hardware, such as a cartomizer tank mod. Even more confusing is the word can also be used as a verb: Steve just modded a drip tip to fit on another kind of atomizer. For the most part, modding parts has given way to the concept of rebuildable atomizers. While people still modify things, it’s not nearly commonplace (let alone required) with the current state of technology. For the purposes of this article, I’m going to stick with just the PV mods and Advanced Personal Vaporizers. Also, for those of you following along who are more familiar with the mod world, keep in mind that this will be nothing like a complete accounting of mods or APVs. I’ll just hit on kind of the major categories, since there are way too many different ones to do a complete rundown. Mods sort of came into being to offer an alternative to the basic cigarette sized e-cigarettes on the market. While traditional devices are great at mimicking cigarettes, they may leave something to be desired in the performance department. By creating their own e-cigarettes, modders were able to use replaceable batteries that offered much better battery life and performance. Mods come in all shapes and sizes and offer users a wide choice in power output (voltage). The current market has taken off from that point of people making their own e-cigarettes in their garages. There are now a huge number of companies building and selling APVs and Mods. Prices and styles range from inexpensive mass-produced variable voltage eGos to one-of-a-kind handcrafted mechanical mods that can run into the hundreds of dollars. While there are a lot of variations on the themes, there are a few basic styles and types of devices. There are two basic types of devices: mechanical mods and advanced personal vaporizers. Each type of device generally comes in one of a couple styles. The styles can generally fit into the category of tubes or boxes. The descriptions are pretty self explanatory; tubes are tubular in shape while boxes are… boxy.